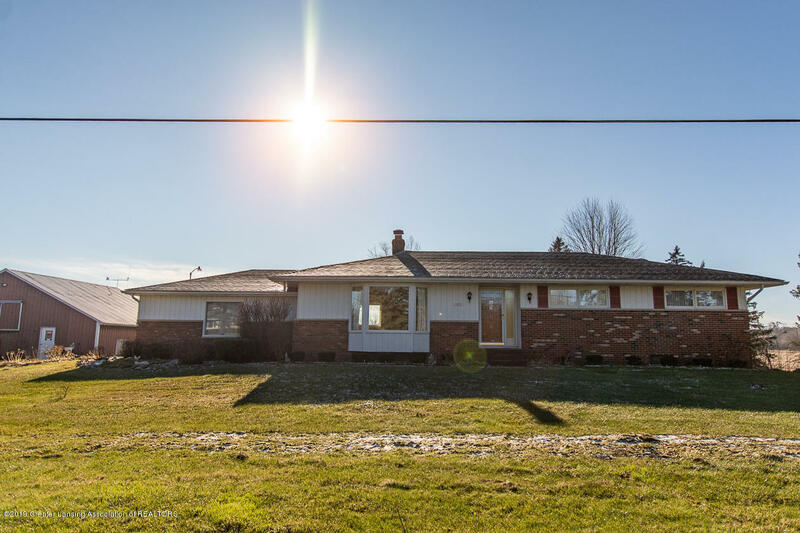 Spacious Ranch Home on 16 peaceful acres! Beautiful pond setting. Attached 2 car Garage plus a Pole Barn and a Garden Shed. Living Room has a sunny step-out bay window. The Dining Room has neutral carpeting. Large Kitchen with lots of cabinet space, easy care vinyl floor. LL Family Room with a wood burning fireplace. Master Bedroom with private bath. 2 additional bedrooms and a bath. 2 car attached Garage plus a Pole Barn and a garden shed. Directions: Howell between Meridian & Okemos Rd. at Wolvernine Rd.